Super sunny and so hot! Whale shark monitoring boat found one whale shark. 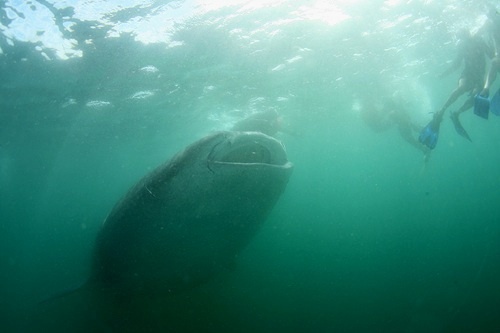 But some boat didnt see whale shark, others saw and swim with one whale shark.